1: What do you call your design style? Oh gosh... how did I KNOW you were going to ask me that!? ha! Country-Vintage, with a touch of Modern. 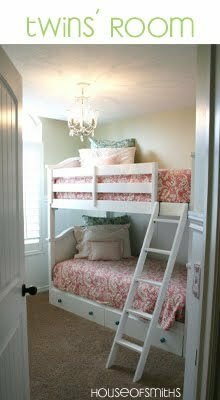 Comfy, Clean, Welcoming and Bright! I've become a bit obsessed with "happy" spaces lately. And to ME, nothing screams "happy" more then a clean, cozy place that has lots of sunlight shining through! 2: What is your favorite social media tool? Why? I love it so much, because you get to put your BEST foot forward, and share with the world what makes YOU happy... and they do the same in return! I've been able to meet SO MANY great people, and make amazing friends through blogging. I also wouldn't have been able to have NEAR the "cool experiences" thus far, without our fun blog! That being said, I'm also quickly becoming a huge fan of Twitter. It's proven to be such a fantastic, lightning quick way, to socialize with my fellow bloggers and readers, one on one! ... VERY cool! 3: What crafting material/tool can you not live without? This stuff is ALWAYS around when I'm working on something. It gives the perfect touch of character to lots of projects, and only costs a few bucks. I've used this great stuff for paper crafting, AND home projects. 4: What is your biggest DIY disaster moment? Hmmm... I haven't had TOO many, thank goodness. And in the end... I HATED it! LOL! In my mind, it was going to be AWESOME! But when it came to the execution, well... something was totally lacking. ha! I was pretty upset. I think I even recall crying, because I was so mad I had wasted all that time! 5: What is your #1 tip for new bloggers? - It's ALL about the pictures. An occasional post without a photograph is fine, but usually, it's nice to have at LEAST one. - Take some time to "get to know" your blog host. Weather it's blogger, wordpress, or something else... take a day or so to figure out the in's and out's of your OWN blog. Don't be afraid to try new things. Add gadgets to your page, change the layout, colors, style...etc. Don't be intimidated by your blog! - Who are YOU? & Stay true to yourself. Ever visit a blog and love it?... Then start searching around for a picture of the person who ACTUALLY writes it?... and have SUCH a hard time putting a face with the fun, interesting information, that you're reading about? Well, I do. And I hate it! lol. As my husband would put it... "Most blogs are all about people putting their stuff out there, just for the pure gratification that someone will leave a nice comment, and make that person feel "justified' in their ability to create something great!" SO TRUE! lol. Sometimes men are so "cut and dry" ha! I don't know why YOU blog, but I LOVE sharing my projects and accomplishments with my readers and friends. But no matter what anyone says, I will always stay true to who I am as a person, and the way I blog. No matter if I have 30 readers, or a million readers. I hope to always take the same approach with my writing style as I did from day one, I think that your readers appreciate it, and find it easier to "connect" with you, AND your blog! And isn't that what it's all about!? Ah you are so adorable, I love visiting your blog. 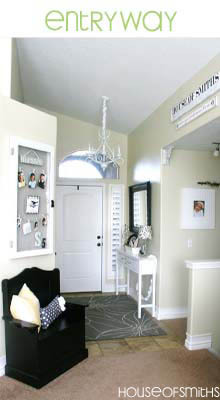 "Country vintage with a touch of modern" I agree, lovely home you have! Thanks for the tips, I am a new blogger myself and I am learning the ropes by watching everyone else out there. Camera is on the list of things to purchase..good info! Thanks Shelley, I enjoyed reading more about you. You're a doll. Why, thank you! Love the tips. And it was great getting to know you! I love your blog! Lots of great tips for beginning bloggers!!! I am definitely needing to invest in a new camera! Do you mind sharing what you use? 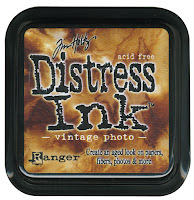 I am also going to have to some distress ink! How cool! Thanks for sharing!!! Excellent post and congrats on being featured at C.R.A.F.T! Thank you so much for the blogging tips. I just started a blog this weekend and did my first post a couple of hours ago. I have followed your blog and a couple others for a few months now. Before that I had never even read a blog. I have been so inspired by you I am excited to get going and see where this journey will take me. This is my blog, acreativefox.com I am Soooooo open to tips. It was great to find out these things about you. Since you said it and I am in the market for one can you tell me what type of camera you use. I love it! Lots of great tips for me (a new blogger) and fun to read as usual. Shelley, Thanks for the blogging tips, I just redesigned my blogs and I'm trying to seriously get in the groove of being a better blogger. You are so inspiring love all your fun ideas. I think you could come up with more tips for new bloggers!! I try to post a picture in every post, what else!! :) I love yalls blog & your home! You hit the nail on the head about your tips for new bloggers. I think pictures are what really boosts the blog. I know for me, I love to see pictures… Just love them. I love to see what I am reading so to speak. Staying true is also a big thing. I have seen some blogs [some of them big namers too] who still, to this day, have confused me as in finding out who they really are. Sometimes I get the feeling they are ‘trying’ to hard vs. just being themselves. It's all about just having fun! As a new blogger- I appreciate the tips! And love your work! Love the Q&A! So much fun to hear your thoughts on blogging and things! Where or where does one find the Distress Ink?? I've fallen hopelessly in love with your laundry sign. Especially the "Repeat" at the end. So true! This IS such a happy blog. Your pantry inspires me, and your photos make such a bright impression. How did I miss your blog before now? I've connected to it, and will be back or more. It's like dessert! What a great and inspirational Q&A! Thanks for the tips for us newbies! Great tips and post girl! So funny you mentioned having your photo on your blog! I do have one, buried, but my readers have been emailing me COMPLAINING that I took my photo of the front page in my recent redesign. I had no idea it was important to them but it makes sense, I too like to know who is writing when I arrive! So, this week, the photo (eek) goes back up! lovely home you have Shelley! I love your blog! Tips for a great beginning blogger! I definitely need to invest in new camera: Do you have any idea of sharing, what do you use? I'm also going to have some difficulties in ink! How cool! Thanks for sharing! I love your blog! It's so beautiful that it makes me happy just to come to your home page! I agree completely that photos are important. But given that cell phone and iPad (or other tablets) are at such a high quality, I've found that I get my best photos just by using them. In fact, I always carry my mini iPad in my purse with me, and I use that to take photos. It's got a much larger screen than a camera does, and it has a lot of uses beyond just taking photos, of course! I read a book by a professional who said that given the high quality of equipment that they are putting on smartphones and tablets, using those is perfectly fine for putting photos on your website. The same is true for using your smartphone for videos, he said. As long as you don't need to do a long zoom or some movement or low light, you're good to go. For websites, you'll probably not need that kind of capability unless you're selling your services as a professional photographer.